Eckerö is a municipality of Åland, an autonomous territory under Finnish sovereignty. 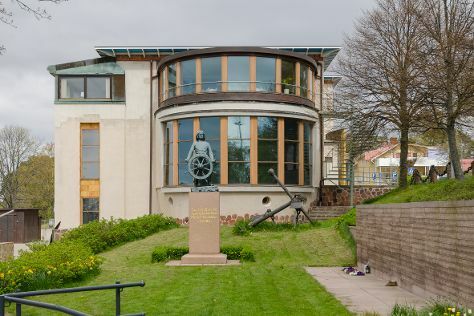 Change things up with these side-trips from Eckero: Sund (Kastelholm Castle & Bomarsund) and Mariehamn (Museumship Pommern, Aland Maritime Museum, & more). Pack the 21st (Tue) with family-friendly diversions at Smart Park. There's much more to do: take a leisurely stroll along The Maritime Quarter, see the interesting displays at Aland Hunting & Fishing Museum, contemplate the long history of Salis Batteri, and have some family-friendly fun at Leklandet. Plan trip to Eckero with our itinerary maker to find out where to go and what to do. Expect a daytime high around 15°C in May, and nighttime lows around 5°C. You'll set off for home on the 25th (Sat).